Champery, Switzerland (AP) — Michael Albasini won his seventh career Tour of Romandie stage on Wednesday, and Fabio Felline of Italy retained the overall lead. The 36-year-old Swiss sprinted through rain and light fog on a mountain road in Champery after a 168-kilometer (105-mile) ride. Diego Ulissi of Italy was second and Jesus Herrada of Spain was third in the same time as Albasini. Two-time Romandie winner Chris Froome of Britain was fifth. 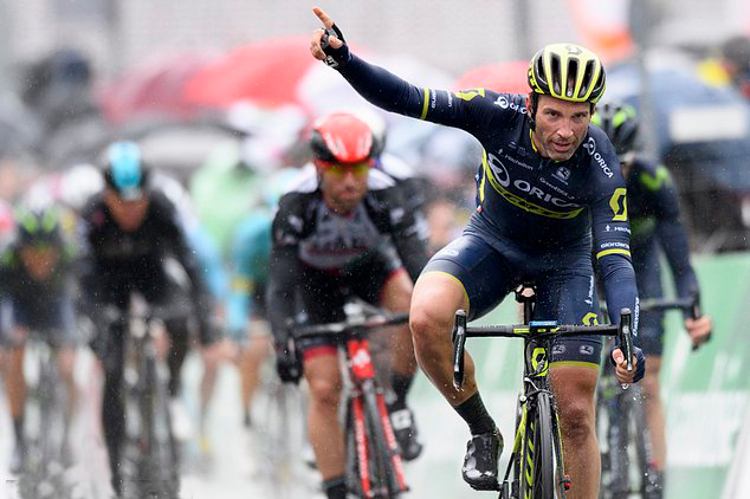 Albasini has at least one stage win in the six-day Romandie event for four straight years, and used this victory to be ninth in the standings. Felline, who won Tuesday’s prologue, leads Max Schachmann of Germany by eight seconds. Herrada is in third place. Thursday’s stage is a rolling 161-kilometer (100-mile) ride to Bulle.